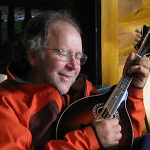 Big data, machine learning, open source and mandolin. And magic. Keynoter at Buzzworks. Many talks at HUG's, Hadoop Summit, Strata and many other industrial and academic venues. Ted Dunning is the Chief Application Architect at MapR Technologies. Ted has held Chief Scientist positions at Veoh Networks, ID Analytics and at MusicMatch, (now Yahoo Music). Ted is responsible for building the most advanced identity theft detection system on the planet, as well as one of the largest peer-assisted video distribution systems and ground-breaking music and video recommendations systems. Ted has 15 issued and 15 pending patents and contributes to several Apache open source projects including Hadoop, Zookeeper and Hbase™. He is also a committer and/or project management committee member for Apache Mahout, Apache Zookeeper and Apache Drill. Ted earned a BS degree in electrical engineering from the University of Colorado; a MS degree in computer science from New Mexico State University; and a Ph.D. in computing science from Sheffield University in the United Kingdom. Ted also bought the drinks at the very first Hadoop User Group meeting.